Continuing on the vegan theme - check out my last post - I've got a real gem for you today. Last Saturday, my friend and I went around town for a bit of sale-shopping. After endless queueing, trying on way too many clothes and randomly making Midsummer flower-crowns at a big sports shop (thanks Fjällräven! ), we were in desperate need of some relaxing and something sweet. Instead of going to a familiar spot, we were up for trying something new. So I checked my list and decided we would head to Little Kind Cafe. 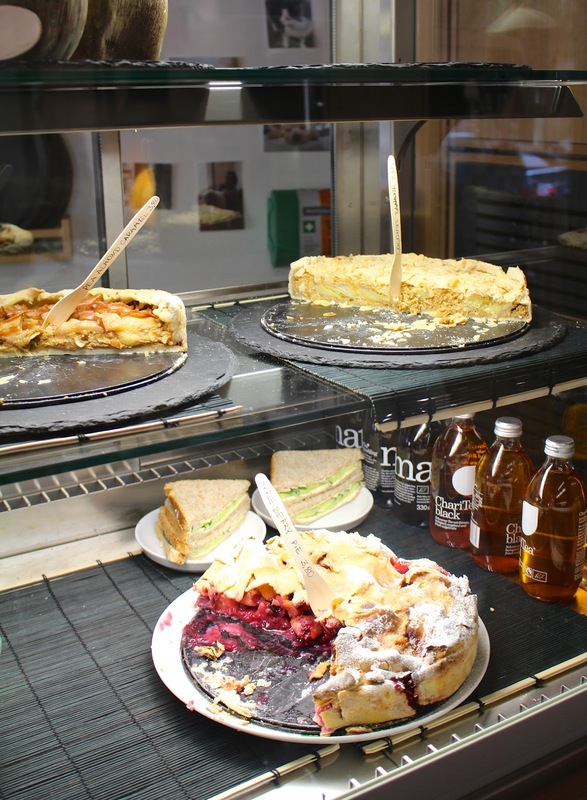 This cute little vegan cafe is located on a side street of Gartnerplatz. There are some sunny spots outside which were naturally all occupied on this particularly sunny afternoon. So we took a spot inside on one of the wooden pallets (recycling at its best). 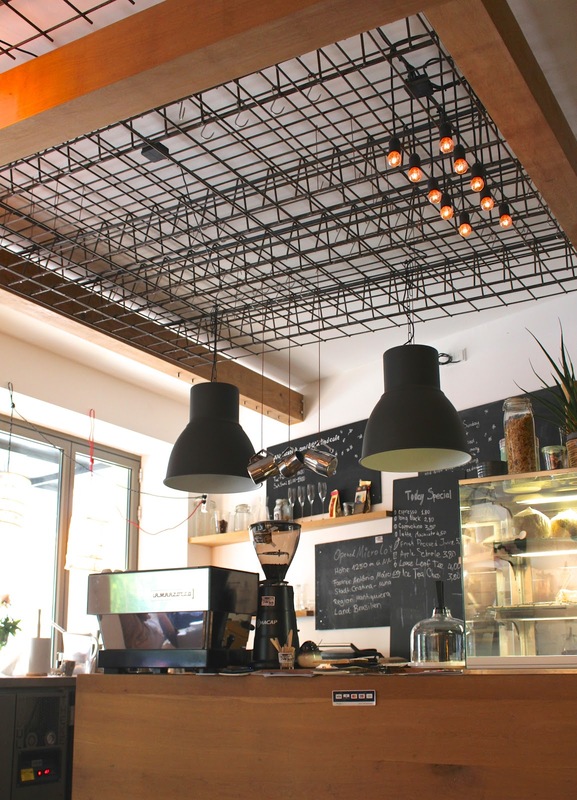 The interior is cool, with little wooden tables and some quirky elements such as paper lamps, washi tape everywhere, and a hidden door which leads to the restrooms. Having spotted an empty cup of what seemed like a matcha latte, I knew I had to order it. Pluspoints for having matcha on the menu! Despite being a vegan place, they do have regular cow milk, which I prefer in my coffee and matcha. The other option was soy milk, which I’m not a big fan of. Thankfully, they cater to all needs here! The real challenge was deciding which cakes to try. There was an impressive looking berry pie (it was calling our names), a coconut & banana pie, an almond-coffee slice, pea almond caramel pie and banana bread. Of course I also had to try the banana bread, as it’s one of my favourite things. All-together it made for the perfect afternoon treat. The banana bread slices are toasted a-la-minute so it’s nice and warm. The flavour was on point, I liked the hint of cinnamon. Every time I try banana bread, it tastes totally different, but always good. I could probably eat this every morning with some almond butter on top! The berry pie was also really good but I think would have tasted better warm. 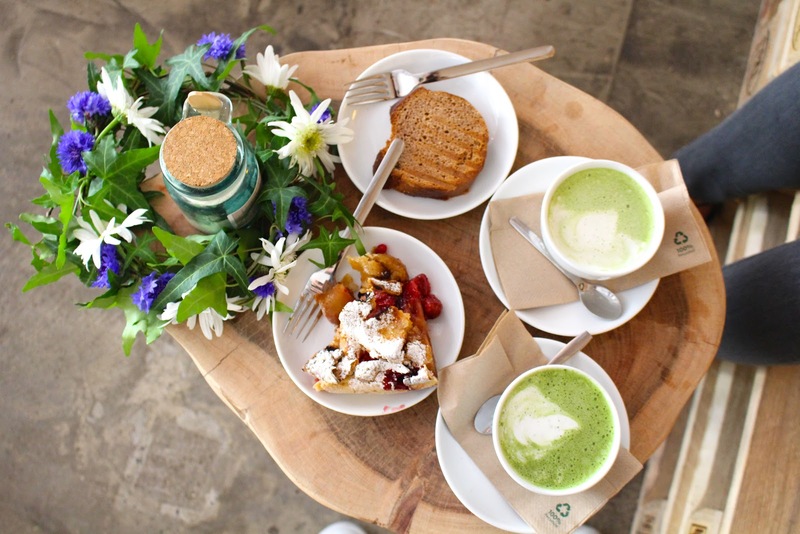 We sat back and relaxed, taking small bites of cake and sips of matcha latte. The music and the atmosphere of the place were so calming that we felt like we could sit there for hours. 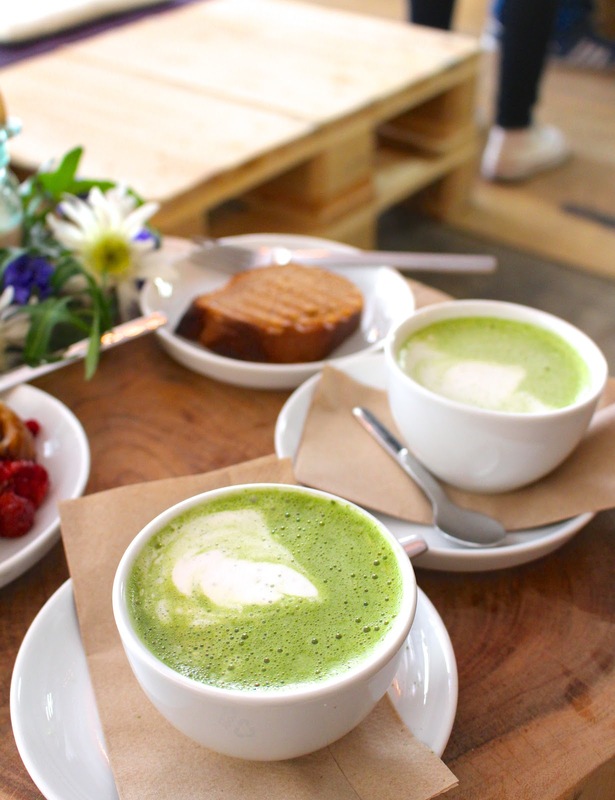 It's the opposite of your usual loud cafe, and it's really chill! After my first visit, I can't wait until I can go again. The brunch looks really good here too, with avocado toast and homemade granola (and more banana bread!) I like that's it's not only for vegans, but it welcomes everyone. The relaxing atmosphere makes it the perfect weekend afternoon-tea or brunch spot. Little Kind Cafe is already one of my favourites in Munich!